This Museum lies at a distance of 12 km from Sultan Bathery and displays items related to tribal communities. 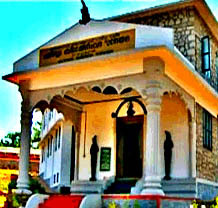 A tribal-life oriented museum. Potteries of Megalithic Age, musical instruments, bangles, ear ornaments and hunting traps bows and arrows, stone weapons, musical instruments, bangles, ear ornaments and hunting traps. are the major items on display. 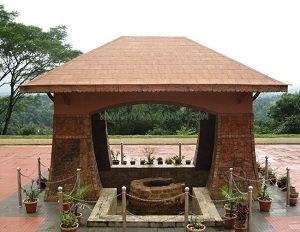 The collections mainly are from all over Wayanad region .This is considered as one of the best Heritage Museums in Kerala. The Museum is open between 9 am to 6 pm. This large Ficus tree, bound by a prominent chain is the source of a dramatic local legend. As the tale goes, an Adivasi youth named Karinthandan was instrumental in guiding a British Engineer through the difficult mountain terrain into Wayanad. Eager to take credit for the discovery, the engineer conveniently killed his guide, whose soul according to the legend constantly haunted subsequent travelers. It is further believed that a priest chained the troublesome spirit onto this tree.